"We cannot afford to see the thousands of squares and public spaces present in the hundreds of European cities transformed into war check-points, knowing that only one derisory percentage of these thousands of squares will be really hit from terrorist attacks," Boeri told Dezeen. "A big pot full of soil has the same resistance to a Jersey [modular concrete barrier], but it can host a tree – a living being that offers shadow; absorbs the dust, subtle pollutants and the CO2; produces oxygen; homes birds." The architect believes that planting would integrate better with picturesque plazas, monuments and architecture, complimenting instead of spoiling them. "To terrorists that are already succeeding in fearing us and seek for us not to leave our houses, we must not give also the satisfaction of ruining our extraordinary historic and cultural heritage of urban collective places," he said. Dezeen spoke to Boeri following a televised interview published by Italian news outlet Repubblica.it, during which he discussed the benefits of natural barriers over more traditional structures using concrete and cement. "We should defend ourselves with planters and trees, not with cement," the architect told interviewer Simona Bolognesi of Radio Capital. "Instead of using barriers that worsen the quality of space we should think about the quality of space, we should think about trees with planters that are functional." He said that large planters filled with earth would be just as resistant against the impact of a vehicle attack as concrete barriers, like those temporarily installed on London Bridge following the vehicle attack that killed 11 on 3 June 2017. The barriers separate the footpath from the six lanes of traffic that cross the bridge. 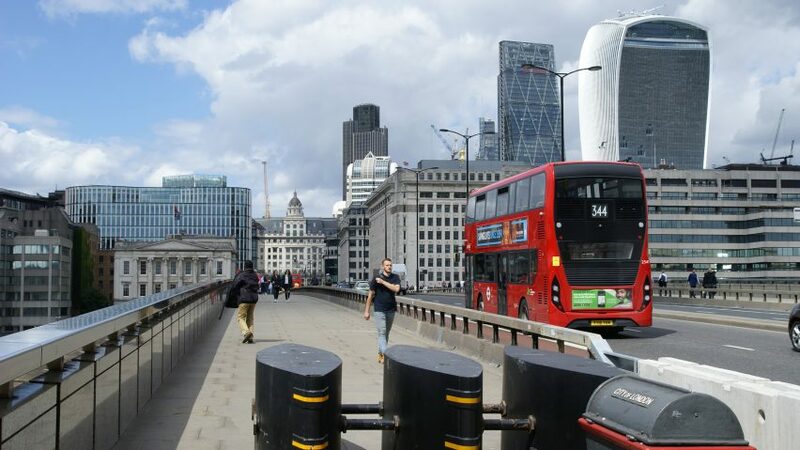 Similar devices were also put in place on the UK capital's other bridges in the wake of the attacks on London Bridge and Westminster Bridge. Milan, where Boeri is based, recently announced plans to install large concrete barriers at the entrance of public sites to prevent vehicles entering at speed. Earlier this week it emerged that the terror cell responsible for the fatal attacks in Barcelona last week had been planning to bomb the Antoni Gaudí-designed Sagrada Família, prompting beliefs that the Spanish city too may consider implementing barriers. Boeri said that while plans to erect concrete barriers should not be completely dismissed, he urged European cities to consider the quality of their public spaces as well as the safety of citizens. "We must never say no to anything that can protect us, but I think it's really a shame to have to accept to walk through a public space in fear, and even accepting to worsen the quality of life in cities, which is one of the things that's dearest to us," he told Bolognesi. The architect will be taking part in talks with safety forces, architecture schools and botanists in Florence next week to devise new ways to safeguard architecture and city centres from terrorist attacks. "We don't want to produce a mask or a green camouflage for Jersey [barriers], we want to create a new public space device," he added. "Plants are a symbol of life, rebirth, evolution and biodiversity." Boeri is known for his "vertical forests" concepts, which involve covering high-rise inner-city buildings in plants and trees to offset carbon emissions. He has developed designs for sustainable buildings in Milan, Lausanne, Nanjing, Utrecht and Liuzhou that see full-sized trees or plants cover the facades, but this is the first time the architect has suggested the concept could be used to tackle terror.